Pacific Golf Club has had two homes, one at Upper Mt Gravatt and the other at Carindale, both on Brisbane’s southside. Its first course, bordered by Kessels Road and Logan Road, opposite where Garden City Shopping Centre is currently situated, was opened officially on April 3, 1937. 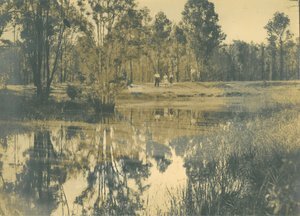 The present course, on Pine Mountain Road, Carindale was officially opened on February 29, 1964. 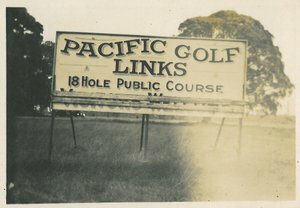 With the golfing boom of the sixties, Pacific really came of age. Today it is a dominant club with a championship course and a thriving membership. Pacific boasts a modern clubhouse, Club Pacific, with great facilities where members can be proud to bring their family and friends. We pride ourselves on the friendly spirit that exists within our club and the devotion of our executive officers (members and associates), the General Manager, Golf Professionals, bar and restaurant staff, and other members who voluntarily give their time to fostering the Juniors and helping with improvements to the course and clubhouse surrounds. Pacific has won numerous honours, including two consecutive “Best Queensland Golf Club” awards in the prestigious Clubs Queensland Achievement Awards. Pacific Golf Club has produced several world recognised golfers over the years and the successful Division 1 Pennant Team that has dominated over the past ten years is a direct result of the strong Junior Club that our club promotes. The “old Pacific” was the brainchild of J. L. (Leo) Mc Intyre (Mac) and the transformation of wooded acres into a properly laid out nine holes with grass greens was virtually a one-man effort and a monument to Mac himself. In those earliest days he did practically everything……the mowing, greenkeeping, the business operations, bartending, the secretarial job, most of the golf organizing, and still found time to be Club Champion. 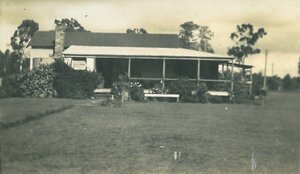 Leo Mc Intyre came to Brisbane from New South Wales and imbued with the challenge and possible rewards of establishing a golf course, he looked around and finally negotiated the purchase of Kessels Road land with its old cottage. 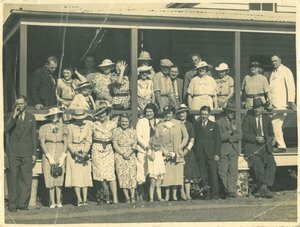 In getting the project off the ground he had the untiring support of Mrs Maisie Derrick – she was to become the club hostess, culinary supervisor and playing Captain. The decision to form the club was reached at a meeting at the Hotel Brisbane that was attended by friends, friends’ friends, local business people, residents of surrounding areas, local business people and other contacts. 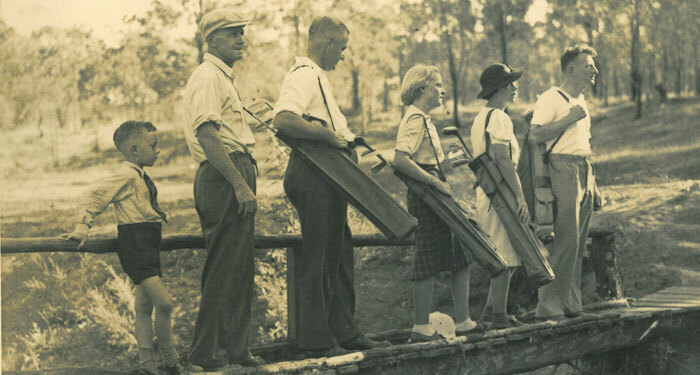 The course was opened officially on April 3, 1937. In Pacific’s early days there were deprecators who referred to it as the “Cinderella” Club and as a “goat track”: they had to eat their words. Maybe it was far behind established courses, but every course has to start somewhere. The war years did not help; membership fell off and funds were scarce, so there were no big sums for course improvements. The rewards came later with the golfing boom of the early sixties. Pacific really come of age. Today it is an outstanding club with a championship course and a large membership, including social membership.